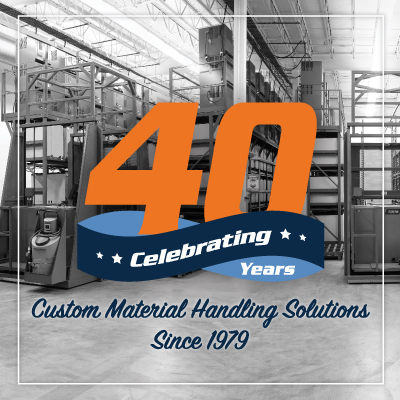 Over the past 40 years, BHS, Inc. has grown from a regional Midwestern producer of industrial/traction battery stands to a global material-handling powerhouse. As the company celebrates its 40th anniversary, here’s a look back on how that growth occurred — and how BHS leadership plans to keep it going. Marty Huber got his start as a dealer with an inventory of industrial batteries and a single employee. His desk was an unmounted door straddling two 55-gallon drums. “It was makeshift,” Marty said. Huber faced challenges in those early days. Interest rates hovered north of 20 percent, for one thing. And Huber was young for the industry, still in his early 20s. He looked even younger. That made it hard to win sales contracts with the older business crowd. So Huber cornered the local market not on battery sales, but on smaller-dollar service contracts. Service led to trust, which led to battery sales. Then came a fateful betrayal that laid the groundwork for BHS, the company that would eventually eclipse its origins in the battery dealership. In late 1978, Marty had a large Monsanto contract to fill, including batteries and battery stands. At the last minute, his stand supplier diverted his order to a larger dealer. That left Marty in a tough spot. Lacking the stands he needed to meet his obligations, Marty started buying steel and building them himself. He delivered despite the setback. Then, in 1979, he founded BHS as a manufacturer. The company began building just one thing: battery stands. But soon, the product lines grew — and so did the team. Marty Huber founded BHS, Inc., continually reinvested in the company’s growth, and developed an application-focused, customer-oriented approach to manufacturing. But it was Jim, Marty’s son, who led the process of product diversification leading up to the 40-year mark. Under Jim’s leadership — with Marty stepping into a support role — BHS began to study the material-handling challenges that face manufacturers and warehouse operators. In 2014, they launched their Material Handling Equipment line, starting with industrial Lift Tables. Discussions with clients in the electrical supply industry soon inspired Jim and his design team to conceive of the Parallel Reel Payout, which would become the first in a growing line of solutions for handling electrical materials. By 2016, BHS had officially announced its entry into the electrical industry. Regardless of the product line, Jim said, BHS sets itself apart with a focus on custom material handling solutions. The cookie-cutter approach to product development doesn’t work for every end-user, Jim said. Then the team at BHS gets to work building custom solutions, Jim said.